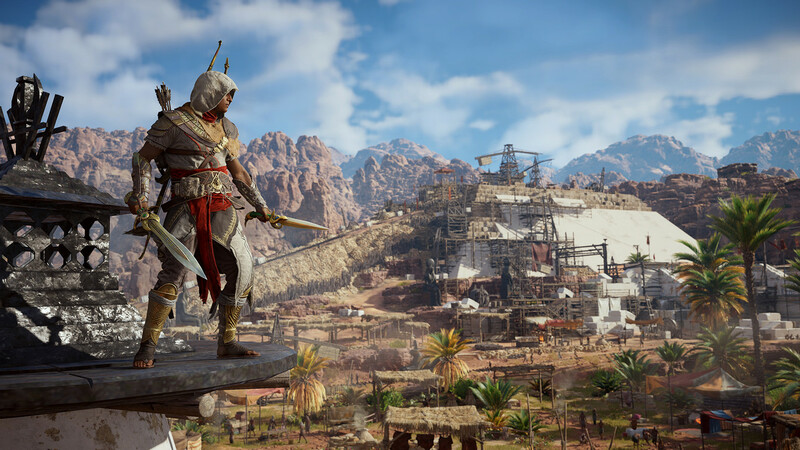 Ubisoft has announced what will be the downloadable content that will end up receiving ‘Assassin’s Creed: Origins’ over the next few months, among which we can find some that will be paid and others that all users will be able to download for free. The Hidden Ones: An expansion that will explain the growth of the Brotherhood, moving us a few years after the main story of the game in a showdown against a Roman legion trying to invade a new region of Egypt. The expansion will increase the maximum level and will arrive in January 2018. 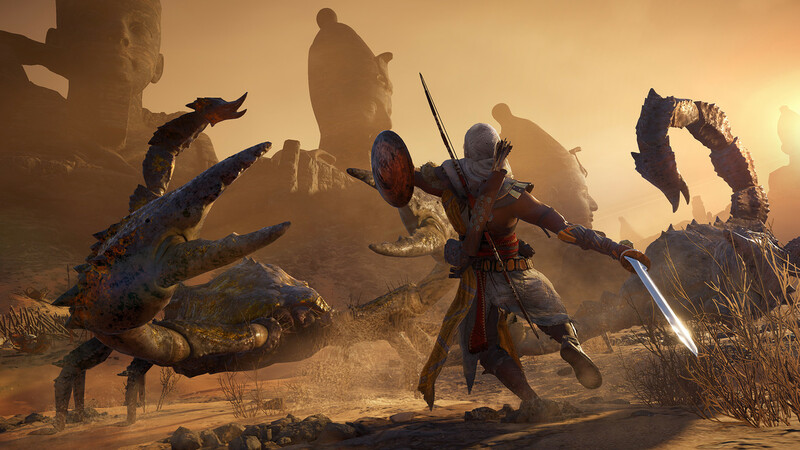 The Curse of the Pharaohs: The second of these expansions will focus on Egyptian mythology, having to fight against undead pharaohs in a new and mystical realm in which there will also be beasts, Anubis warriors, scorpions and many more enemies. This expansion will also raise the maximum level and provide new skills. Its arrival is scheduled for March 2018. The Roman Centurion and Horus: A pair of packs that will deliver a new suit, weapons, a shield and a mount. It will be available in November this year. Finally will also include 500 credits and a rare weapon, both accompanying the launch of the game. The Trials of the Gods: A series of epic battles against final bosses in the form of Egyptian gods that take place at special events with time. The first one will arrive 15 days after the arrival of the game. The Nomad’s Bazaar: A market that will invite players to participate in daily missions that will reward them with some very interesting prizes in the case of completing them. They will start from day one. Photo Mode: Players will be able to take photos of everything they want and capture unique moments, in addition to being able to see the photos taken by other players. This mode will be available from the first day. Horde Mode: As its name suggests, here you will have to defeat waves of enemies in a gladiator arena. The score obtained can be compared with that of other people and thus compete in a leader board. This mode will be enabled in early 2018. Discovery Tour: An educational way that we will travel through Ancient Egypt and we will know more details of the life of this country at that time thanks to the information provided by some tour guides. Like the previous one, it will also arrive early next year. 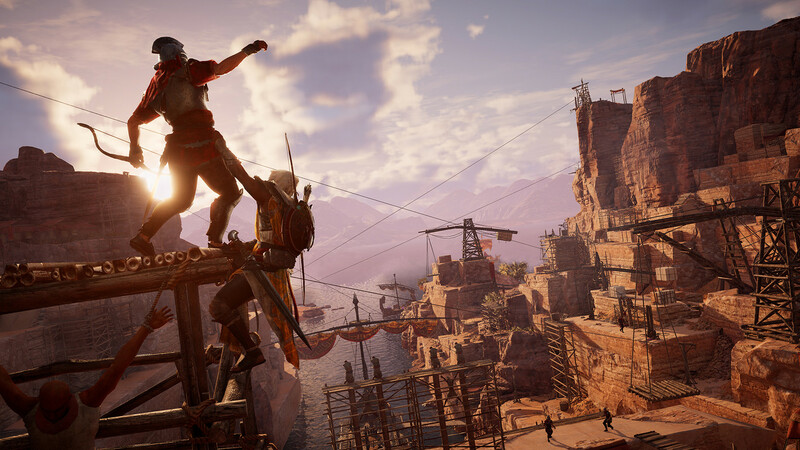 As you see it seems that we will have ‘Assassin’s Creed: Origins’ to give and take during this year and much of 2018, although the first is the first and for the launch of this new installment of the saga will have to wait until 27 October.